​More often we get held up with a myriad of activities which begin on early Monday morning, finish up on Sunday night and start it all over again. Time rushes as we hurry to wind up the critical events and activities including managing the household, juggling jobs, chauffeuring our parents, relatives, spouse, and our children to work, appointments, commitments, and school. Yet all of us concur to the fact the best way to show love, and care to our loved ones and that our families matter the most is through spending some quality time together. This blueprint highlights the ideas that will enable you to spend time with your family in a meaningful, simple and help you make it a lifetime habit. 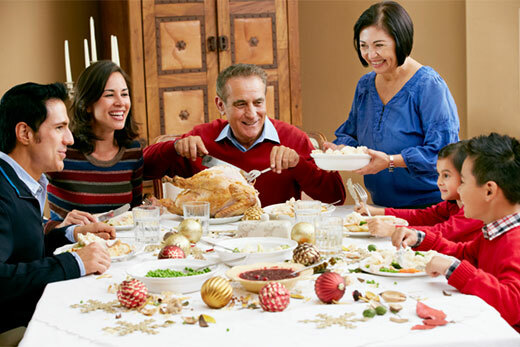 Having dinner together as a family makes you be part and parcel of your family's conversations, you also get a chance to respond to questions your kids might have had when you were away. Seek for leave or an off from your job or schedule your work for other times and make it home on time to enjoy dinner together with your kids. As your kids grow to maturity, they might start developing the feeling of wanting to be independent and rarely want you close to them during bedtime. But you can still schedule time between, dinner, homework, TV, and bed to create time and discuss a few things together. You can select to read a novel together, try some yoga, brush your teeth and wash your faces together. Is any of your kitchen sinks leaking? Is the paint to your kids' study room wall faded and needed some paintings? Kids are delighted in helping to fix things. To us the parents, it might appear as a mundane task, but to many kids, it's a wonderful chance to have a look at what's found inside the sink, to know how a faucet functions and participate in covering a whole wall in paint. Fixing things with your kids allows you to schedule time for projects and allow you ample time to interact with kids. Get time and narrate to your kids about your family history and lineage. Find your old school photo albums and take your kids through them. Add the recently taken family pictures and add them to your family collection with your kids. Make this a habit. Schedule some time and travel together with your teenager. While you're traveling, have a general conversation. Usually, there's nothing much you can do with your teenager when you're on the train, in the car or on the bus other than talking to each other. So, utilize the golden opportunity and allow your teenager to share the troubling issues in his life. If you're done dining with your kids, why don't you create more time and go for a walk together? Once the utensils are removed from the table and dishes cleaned, have a walk within your neighborhood. Talk about noticeable changes you can see and let your children also tell you their observations as you go around the neighborhood. The idea of walking while having a conversation may ignite the kids to raise challenging topics or issues; they are going through as they are engaged to a walk while bringing such subjects into the discussion. Make it a regular activity to bring your kid to school or to any tuitions they might have scheduled. Doing this more often creates adequate time with your kids. Create some time with your teen. It could even be 5 minutes. You need to be around when your kids come home and ask them how their day was like. Alternatively, make it a regular activity to spend about 5 minutes talking to your teens before they retire to bed and wish one another goodnight. Kids cherish surprises, so if you're living on a tight schedule, that you can't see your kids in the morning before going for work, write a short note or leave a short video for them to get when they wake up. Your kids will be delighted to get a message from their parent, and they will understand that you had wished to see them, but you're sorry you got held up and that you value them so much, at least you made efforts to write them a short message or note. Think of a new environment to go for an excursion. Perhaps it could be an animal zoo, a water adventure park or a museum. Indulge your kids in helping you choose for the place to visit. This way you'll have enough time with your kids, and because of the new environment, they will open up to you and discuss important matters concerning their lives. Use your phone to connect with your teenager through chatting. Although most teenagers don't wish to add their parents to their social media accounts, shooting them short but encouraging texts can help strengthen the bond with your kids. Take part in an activity your kids love the most. You can use toys for kids to involve your kids in a game. Whether your teen love basketball or cosplay or building model cars discus to your kid about the game. Find a way in which you can take part if there's no way out, then join them and learn it from them so you can initiate a talk about the activity your teen is passionate about. Ask them why they choose that as their favorite activity. Playing with your child is one of the best ways to strengthen the parent-child bond. So, embrace it wholeheartedly. Teenagers are passionate about discovering a huge social world other than their immediate family. They create enough time for their friends, knowing who they are, what is their potential and socializing beyond their family bonds. Therefore, you need to open up your home and allow your teens friends into your home to understand them better. Having time together in the kitchen brings immense fun to both the young and the old. Get involved and use the family's chef to learn about cooking that particular meal. Get motivated and inquire why that dish is the most loved in your family. Utilize the opportunity and snap videos and photos of each step and preserve them for future special moments. Together with your child, choose a new activity or hobby. Perhaps you can join a yoga or tai chi session? Or select a new language together? Every time we drive our kids to a nearby location or area, we lose the most precious and priceless time in the name of observing time. So, the next time you take your kid to a nearby place, choose to go on foot. Walking with your kids is an excellent way of slowing down the pace in your lives. While walking along, have a discussion about the place you're visiting, tell your kids what you think and allow them to share their version of the story too. Ask your kids about the things you come across on your way and use this time to know who said what in school today. If you buy a video game in your home, make your efforts to understand how these games are played because by playing with your child, you get into their real world. This is the right time the kids will know that indeed their parents are human and they're vendible- Then the kids will also feel immense happiness in beating their parent in a particular game. The best games to use for this purpose are those that mimic the real world such as baseball, dancing, table tennis, and skiing. These games are much better when compared to other games where you'll have to blow each other. Try to locate a child-centered entertainment within your city. Your child will hardly recall his day of TV, but he will live to remember alive event he watched at a theater. During your kid's birthday, you can choose to take her to a local production of say a sleeping beauty performance at kid's theater. She will like to talk about the happening that took place at the event so many months to come. Meaningful family connections are based on the quality of time spent together but not the quantity of time spent together. Make it simple and do everything under you reach to bring the sense of relationship and lifestyle. You can buy toys for kids to make them happy and always remember playing with your child has a lasting influence and reassures your kids that they are essential members of the family.